Property of Kelly: Oh, Orla! 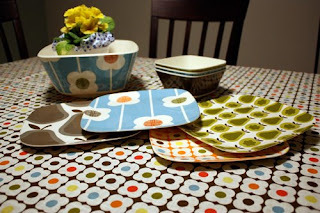 As many of you know Target has a new line by Orla Kiely in their stores this month. I have been excited to see all these great products on the shelves. I went on Friday and found quite a bit, though the stock had definitely been picked over a bit, I still had quite a few things I quickly put in my cart. 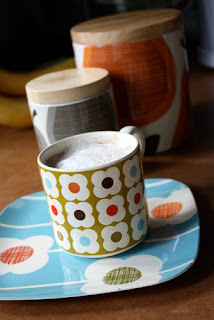 i so want that orange pear canister! the color orange and pears are my favorite things! oh gosh I haven't got around to going there yet, I really want some of these.